All kinds of manufactured products are prone to get damaged. Realizing this, Briggs & Riley, a US luggage brand, provides a free of charge lifetime guarantee. Quite unfortunately, not all brands offer that kind of benefit. In this case, apart from getting professional help, learning to fix the problems ourselves seems to go a long way. Well, at least the basic ones. 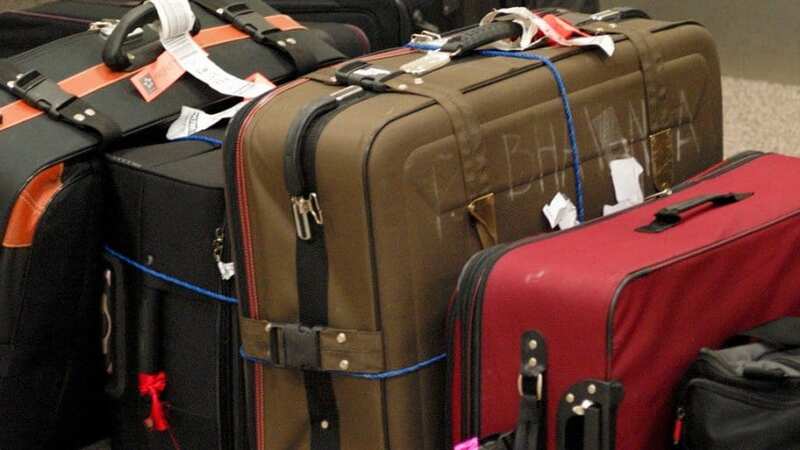 When it comes to luggage, wheels, zippers, and handles are the parts that are most likely to create problems, like loose wheels, jammed zippers, and clogged telescoping handles. Yet, there are other possible problems that need to be anticipated, such as torn fabric and dented hard shells. Below are the some DIY tips to geting ourselves prepared for such problems. Wheeled luggage has made travelling much easier. Going around while carrying much weight on the wheels that are rolling smoothly is a breeze. This fact is, however, very different with loose or damaged wheels. Before going on a trip, it is wise to check the conditions of the wheels. When luggage wheels are coming loose or falling off, we need to deal only with screws and a screwdriver. Just get out the right screwdriver, and insert it into the screw. Make sure that it is at a 90 degree angle. Don’t tighten the screws too fast as it could cause the wheel to crack. Sometimes wheels get damaged or broken and you will then have to replace them. Screwed and riveted luggage wheels are replaced differently. Screwed wheels are attached by a small screws on both sides, whereas riveted wheels are bolted on through the center. Screws should be easy to remove with screwdriver but rivets can be more of a challenge. If the wheels are attached by rivets, and not screws, a power drill might be needed to remove the broken ones and replace them with new ones. The most common problems with luggage zippers are they coming stuck, jammed or simple damaged and need to be replaced. Zippers can suddenly get stuck and cause travellers a hard time getting their stuff out of their suitcases. Should it be a problem you are facing right now, use candle wax or lubricants to dislodge the stuck zipper. This is especially true for metal (chain) zippers. Stuck coil zippers, on the other hand, merely require you to pull the slider backward. To tell you the truth, the less hassle fixing may be one of the reasons why coil zippers are getting more popular for luggage use. Have a suitcase with a broken handle? Don’t worry, you can fix it yourself easily! Telescoping luggage handles offer practicality, but the bad news is they get jammed and even broken. Jammed handles are normally caused by debris and thus it requires cleaning as well as some lubricants to get the mechanism back to work. Removing the debris involves taking out the screws of the handles and pulling them out, cleaning the dirt, applying the lubricants, attaching the handles back, and try extending and retracting the handles several times to make sure that the system is no longer clogged. WD-40 is one of the lubricants that have claimed good reputation in this area. Handle replacement is a bit more complicated. Most luggage handles are attached to the bag interior and exterior. Unscrewing the bolts inside, which are usually accessible via the internal liner zippers, is step number one. However, if it turns out that those bolts cannot be reached without breaking the liner, it might be better to seek professional help, instead. Quite similarly, carry handles can get damaged. Well, if that is the case, treat it the same as the telescoping handles. The only thing that is different is the fact that carry handles are generally attached by four screws, two on top and two at the bottom of the bag. In emergency, super glue and duct tape can be the savior. Drop a little super glue on the broken handle(s), press the handle against its base firmly for a few minutes and then wrap the glued parts with duct tape. Dents and tear in the fabric is the most common fabric DIY luggage repair. Fabric used in luggage is prone to getting ripped or torn. Sewing a small tear is doable. Bigger tear can be temporarily fixed by fabric glue. The glue should be firstly applied on the torn parts from the inside of the bag then on the torn seam from the outside of the bag. Excess glue can be removed before it dries, so wipe it before leaving the glue to work its charm in a minute or two. Patches may also be needed to fully cover the tear. Hard shelled luggage sometimes needs a DIY fixing, as well. With the hard side, the main problems are dents and scratches. If the hard part is made of metal, tapping a hard object from the inside until the dent goes back into shape can be the solution. It is different for hard shells made of ABS, polycarbonate and other plastic materials, though. It can be fixed by exposing heat from a hair dryer to the dented part for approximately ten minutes, instead. At the end of the period, tap the dent lightly from the inside to make it pop back out. Scratches can be made less obvious by washing the scratched area with soap to get rid of all residues, air drying it, rubbing a pencil eraser on the scratch(es), then wiping the area with cloth. Alternatively, you can use a toothpaste, a soft toothbrush and clean cloth.